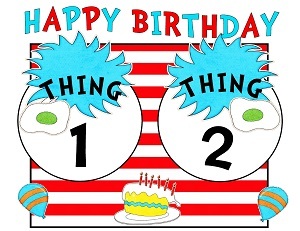 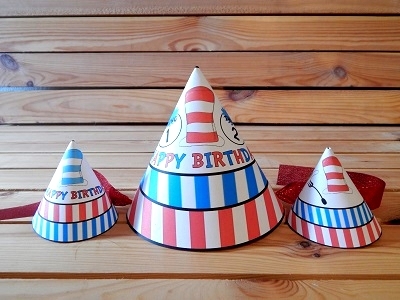 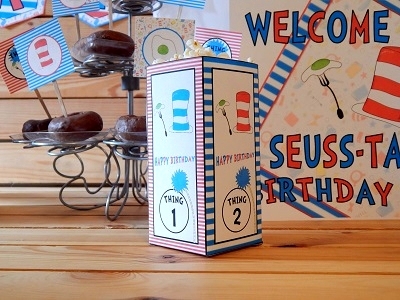 Inspired by Seuss printables for cool & fun birthday parties. 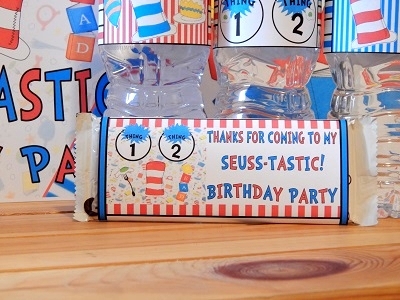 If you love Seuss, this is the perfect party pack for you. 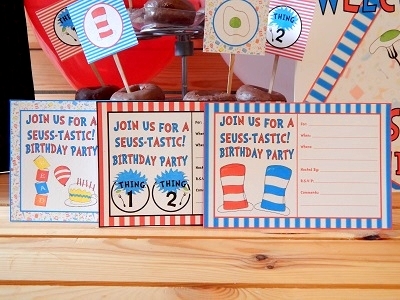 You can use these awesome party printables to print this party theme over & over again. 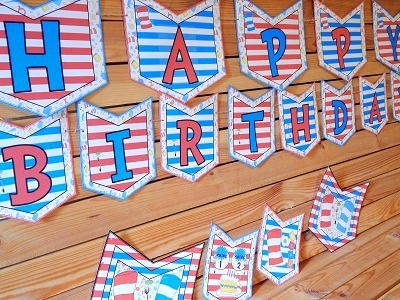 Print as many decoration pages as you need to make your party look stylish & unique. 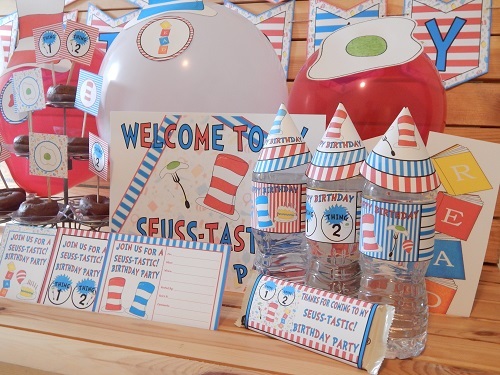 Great for parents & teachers that love to save for a lifetime of supplies. 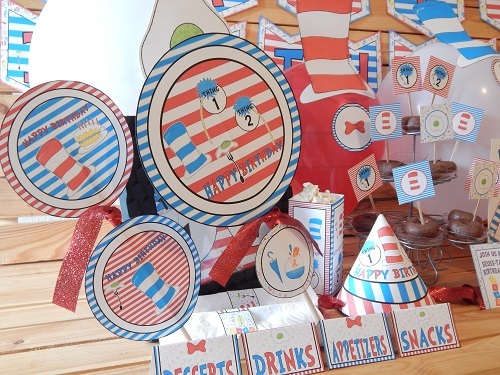 Catch the eyes of your party goers by adding some cool creative touches like streamers, balloons, & matching tableware. 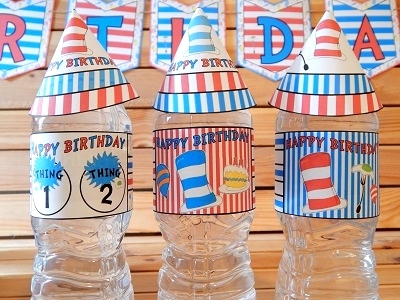 Decorate for your birthday, a child's birthday, or celebrate Seuss birthday at schools for events, classes, & more. 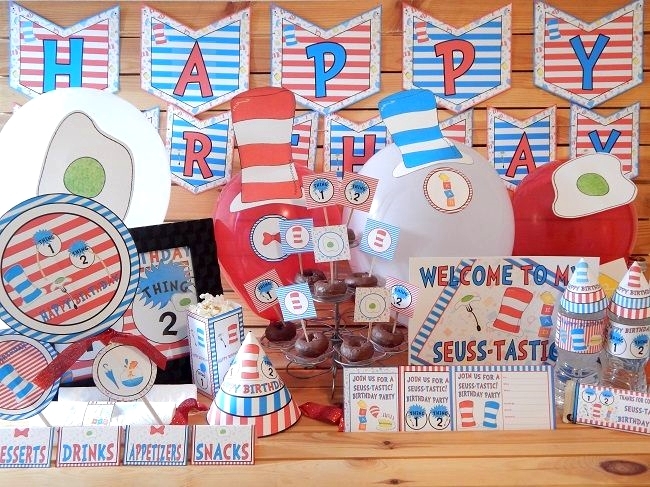 This color blasted theme is filled with green eggs, cake, large blue, red, & white hats, & books.